An Ayurveda diet, also called Ayurvedic diet, is a holistic nutrition regimen based on the ancient medicinal practice of Ayurveda. Ayurveda is the science of life. Ayur means life and veda means knowledge. you stay energetic and healthy so you can realize your full potential. Svastha is the Sanskrit word for health. It describes a balanced interaction of the mind, soul, and body. Achieving this equilibrium in life may seem difficult, especially if you are experiencing stress, anxiety, and/or chronic disease. Nonetheless, an Ayurvedic diet (Ayurveda diet) provides a series of principles to reclaim your health. 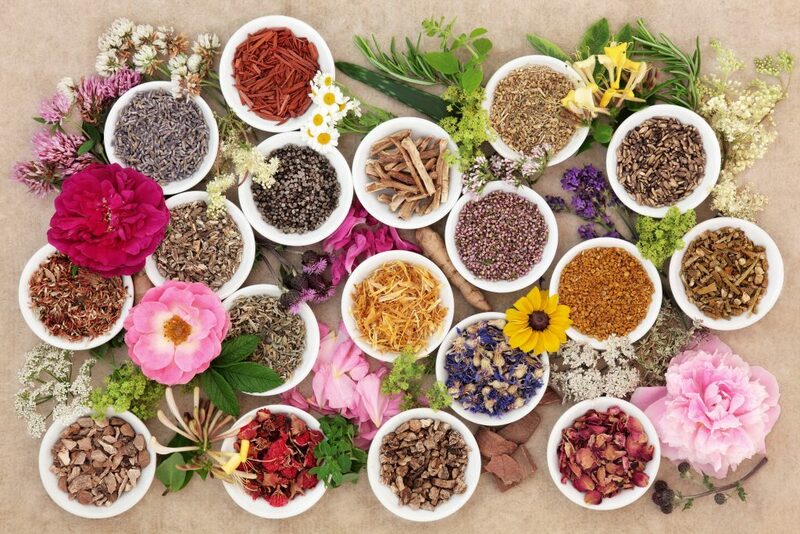 Ayurveda is unmistakably a holistic tradition that encompasses the realms of physical well being and medicinal therapy. transform the body. Expanding and bringing awareness into equilibrium keeps the body healthy. same time, well being neurotransmitters such as serotonin, dopamine, oxytocin and endorphins are released. you need and you feel satisfied. Another benefit is that this will diminish your cravings for snacks and over-eating. immunity and promote good health. be inline. You will naturally desire what is nourishing to your health and life. An Ayurvedic diet (Ayurveda diet) is about re-establishing balance in the body and mind. deduce the right path and behavior. Your body knows the truth and all you have to do is to be mindful. Good health results from your ability to metabolize the nutritional, emotional and sensory information. creates ojas or vitality, which leads to clarity of perception, physical strength and immunity. through love energy. Choose to be guided by love. 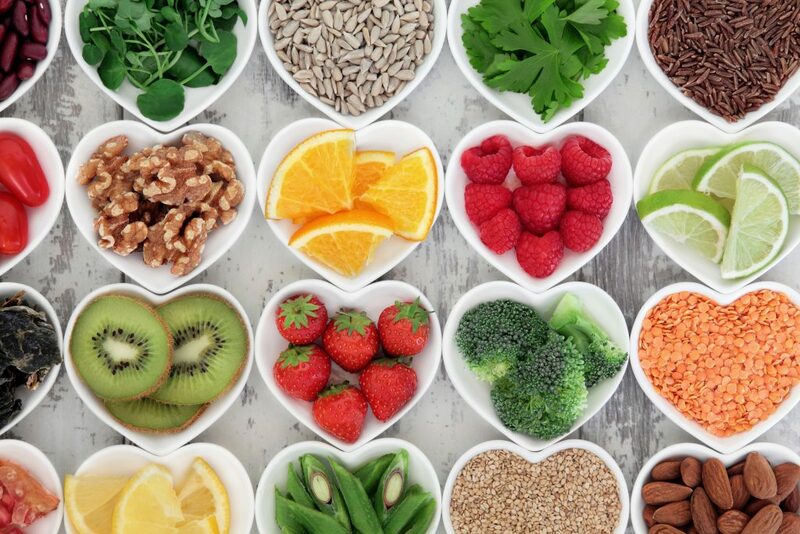 An Ayurvedic diet is fundamentally a personalized nutritional science. 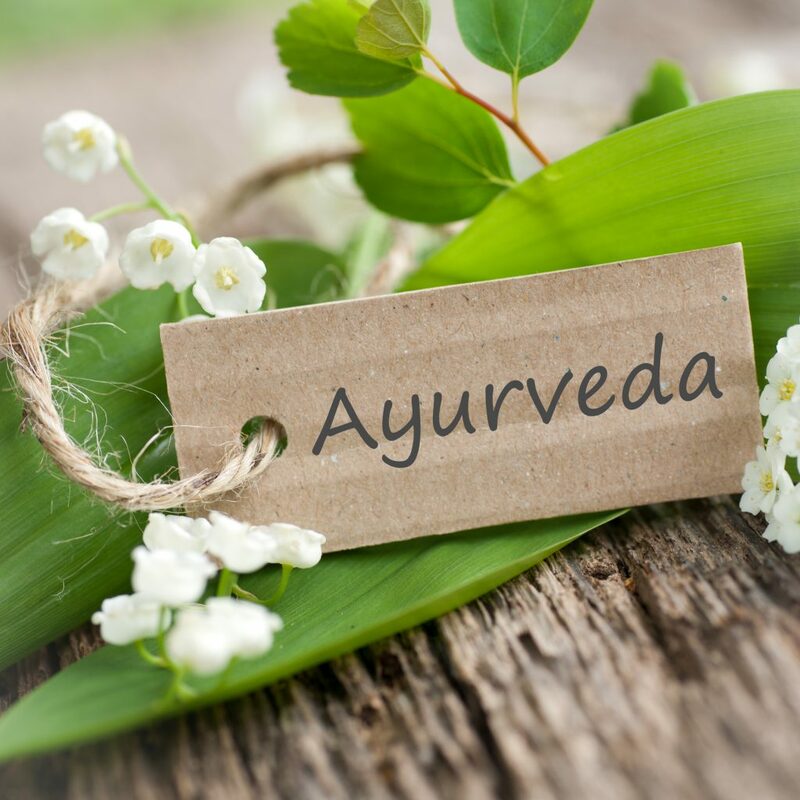 While there are certainly some practices that are considered to be advantageous to most people, Ayurveda focuses on the individual. This is why is helpful to understand your constitution and your current state of balance. It is unmistakably a holistic tradition that encompasses the realms of physical well being, medicinal therapy, and prevention of disease. Svastha is the Sanskrit word for health. It describes a balanced interaction of the mind, soul, and body. Achieving this equilibrium in life may seem difficult, especially if you are experiencing stress, anxiety, and/or chronic disease. Nonetheless, an Ayurvedic diet provides a series of principles to reclaim your health. 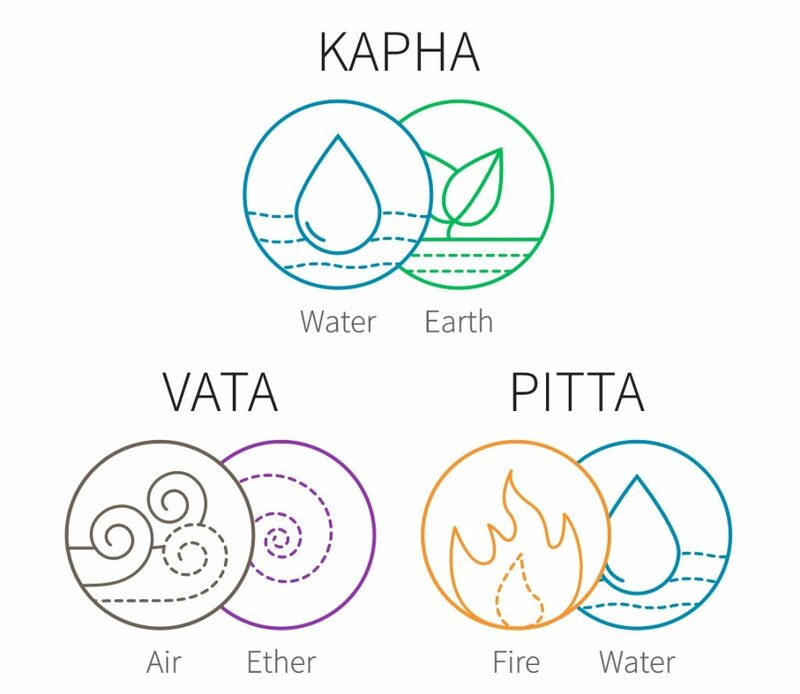 Ayurveda recognizes five elements as the essential units of nature—earth, water, fire, air and ether. Every material contains all five of these elements. However, one or two elements are naturally predominant over the others. The gunas are twenty qualities used to describe matter or experiences. The concept behind the gunas is that opposite counterparts balance each other out. 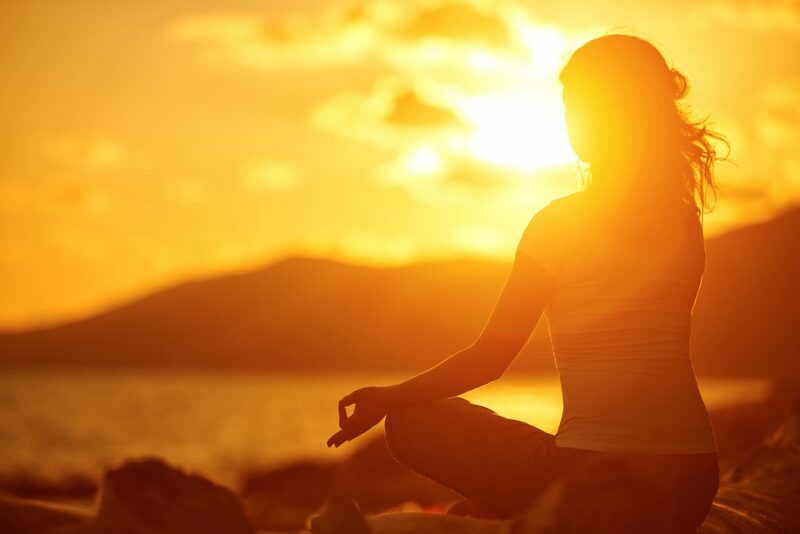 In Ayurveda, there are three basic types of energy, universal principles known as the doshas. In many ways, these are the building blocks of the material world. All three of them can be found in everyone and everything, but in different proportions. Each dosha represents a specific combination of elements and qualities that creates an energetic force of nature. The three are essential to enable important physiological functions. If a dosha accumulates beyond healthy limits, it can lead to disease. The healthy limit is determined your individual constitution. Vata is the energy of air and ether. It is characterized by movement and impulse, and expressed as creativity and connection. This dosha directs breathing, heart beating, muscle movement, nerve impulses, sensory perception, and communication. It directs your sense of flexibility, joy, and expansive consciousness. If your nature is Vata, you have a predominance of the qualities cold, light, dry and mobile. You easily become cold and often prefer to wear a sweater even when others are not cold. You are usually the last to turn on the air conditioning and you are the first to complain when a room is too cold. It is likely that you sleep with extra blankets. Your body weight is light, and you have long narrow bones, with long legs, long necks and long tapered fingers. Often you experience dry skin, dry eyes and a dry colon which causes a tendency toward constipation and gas. Perhaps, your mobile nature is seen in your fast speech and chatty nature. Your tendency is to become scattered and more easily overwhelmed. You often have a fragile, nervous disposition. Similarly, your challenge often revolves around staying focused. In surplus, vata can cause fear, anxiety, physical and emotional tightening, feeling ungrounded, poor circulation, constipation, dry skin, cracking joints, gauntness, insomnia, twitches, tremors, and other abnormal movements. 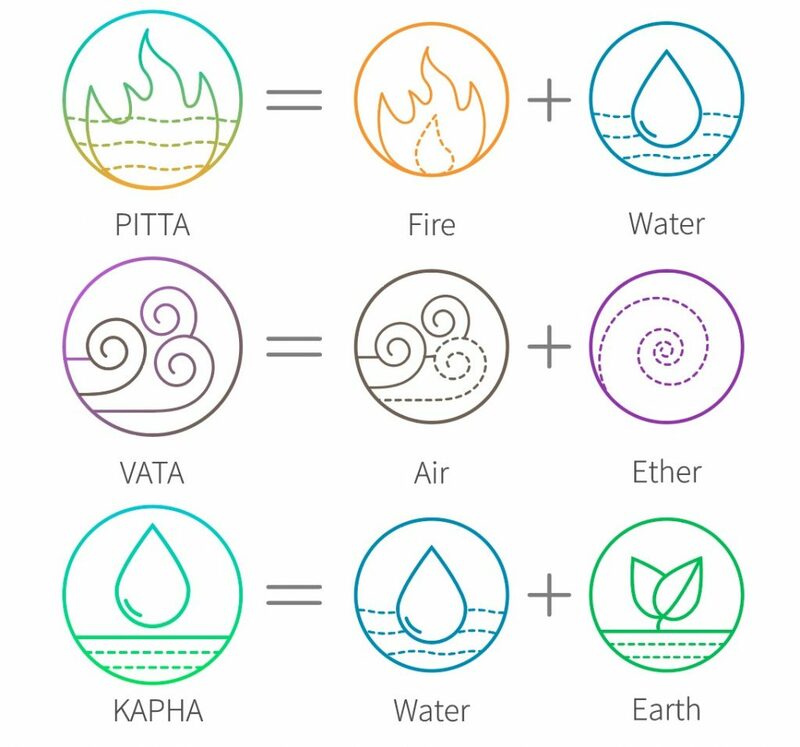 Pitta is the energy of fire and water. It is characterized by assimilation and transformation. This dosha directs appetite, digestion, absorption, assimilation, intelligence, charisma, courage, and ambition. If you have pitta nature are most often hot. You are likely to be the first one to want to put on the air conditioner and the most likely to kick off the covers on a warm night. Because you have a greater amount of internal heat, it is not unusual for you to wear shorts in the cool weather while others are wearing sweaters. Heat often builds up in the intestines and leads to softer and looser stools or diarrhea. You have a moderate body build, not very heavy or very thin with good muscular development. Your skin may be prone to red rashes or acne and is often oily. You often have a clear but sharp way of communicating. Perhaps, your focused and direct approach may irritate other people but you can be counted on to get the job done. You have a passionate and intense disposition. Importantly, your challenge revolves around a lack of patience for those who are not as focused and direct as you are. In excess, pitta can cause anger, jealousy, inflammation, excessive heat, indigestion, diarrhea, migraines, rashes, bruising, bleeding disorders, sharp hunger, an overactive metabolism, and difficulty sleeping. Kapha is the energy of water and earth. It is characterized by structure and cohesiveness. This dosha leads steadiness and stability. It directs sustenance, growth, lubrication, regeneration, fluid balance, fat regulation, strength, endurance, and memory. It supports feelings of compassion and happiness. If you have a kapha nature, you are most often heavy, cool, slow and moist. Because of your heavy nature, you have a sturdy body build. This is not to say that you are overweight. Your natural body type is denser than others. This is because your bones are shorter and thicker. Perhaps, your neck appears to be close to your shoulders and your fingers are short and thick. Overall, your nature is slow and easy going. You speak and move slowly, and are not likely to get upset. You have a sweet and gentle disposition. Your challenges revolve around difficulty getting motivated, or lacking spontaneity. If you have made up your mind, you are not likely to change it. In excess, kapha can cause attachment, grogginess, insatiability, resistance to change, lack of drive, heaviness in the mind and body, excessive sleep, depression, a lethargic metabolism, congestion, water retention, artery hardening, and the development of tumors. Vata, pitta, or kapha can become imbalanced. If the baseline state is disrupted, the doshas can result in disease. When this happens, knowing which of the doshas has accumulated is critical to discerning how to restore balance. Consequently, disease is the natural end result of living out of harmony. Hence, health is your natural state and is the end result of living in harmony. An ayurvedic diet (ayurveda diet) is the path of re-establishing harmony so that health can re-emerge. Prakriti means nature in Sanskrit. According to Ayurveda, your specific constitution is a combination of vata, pitta, and kapha. The Prakriti is established when you come to existence, and remains constant throughout your lifetime. It denotes your natural state of balance. Also, it is your individual blueprint for perfect health. Your prakriti affects your physiology, your figure, your likes and dislikes, your tendencies and habits, your mental and emotional character, and your susceptibilities towards imbalance and disease. On the other hand, vikriti means imbalance in Sanskrit. Vikrity refers to the current level of the doshas in your body. Your current state of balance changes over time and it changes through the different phases of life. Things like your diet, lifestyle, relationships, stress, and lack of sleep can affect your vikriti. Hence, your prakriti and your vikriti provide a helpful context to identify the root cause of any imbalances. 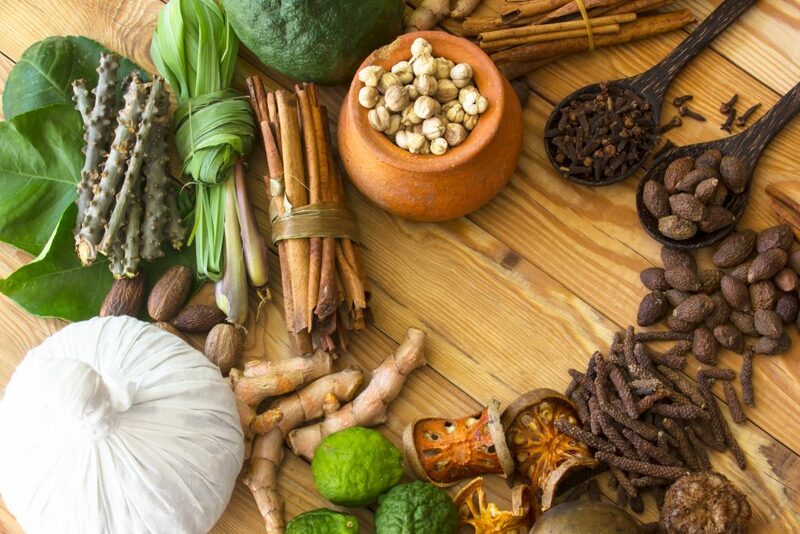 With Ayurveda you can determine how to restore balance in the body. In addition, your nature reflects the ideal ratio of vata, pitta, and kapha in your system. Yet, if any of the doshas are out of balance, your vikriti highlights which doshas you need to soothe to return to balance. The vikriti can help identify the most effective treatment strategies. Similar to the Ying-Yang philosophy, Ayurveda’s approach to wellness heavily relies on the concept of opposites balancing each other. 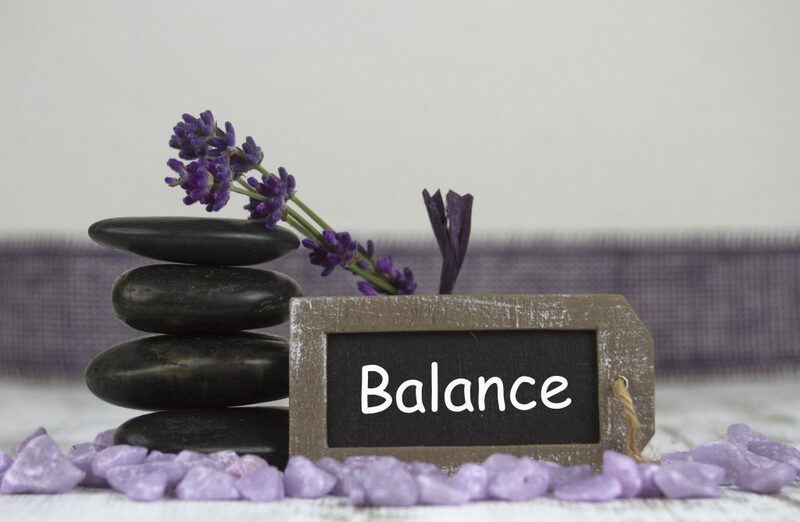 For instance, to alleviate the effects of a particular innate susceptibility or to correct an active imbalance, applying the energy of opposites can direct your body towards balance. That’s why, the gunas provide a clear illustration of how this concept works. The grouping of the ten pairs of opposites makes for a fairly instinctive understanding of how the wisdom of Ayurveda can be applied in practical circumstances. For example, if you are aggravated by excess pitta, you can return to balance by minimizing exposure to the qualities that provoke pitta. Thus, the qualities that provoke pitta include hot, sharp, light, liquid, spreading, and oily. Increasing contact with the cool, slow, heavy, dense, stable, and dry qualities that balance pitta. 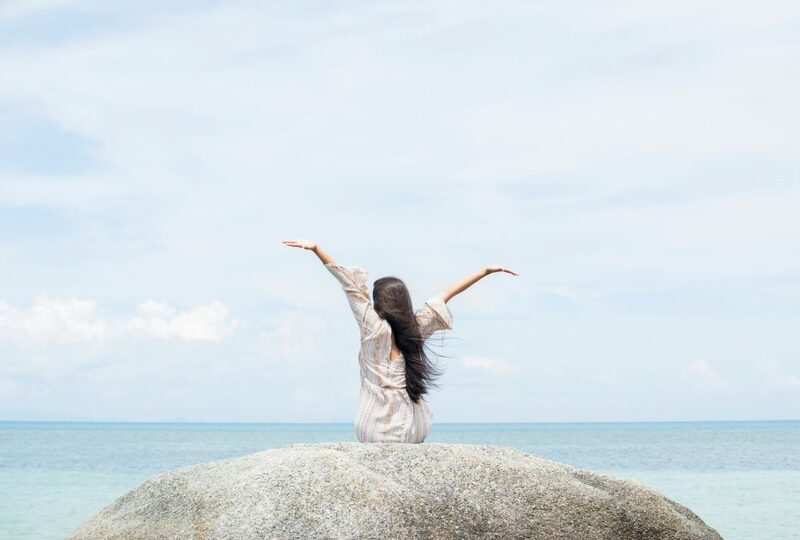 The benefit of this approach is that it is intuitive, particularly if you are willing to cultivate enhanced self-awareness around your habits, strengths, and susceptibilities. An Ayurvedic diet (Ayurveda diet) propositions a clear pathway to better wellness and vitality. The fundamental principles are beneficial to everyone, regardless of constitution or current state of balance. For more information, visit the National Institute of Ayurveda.